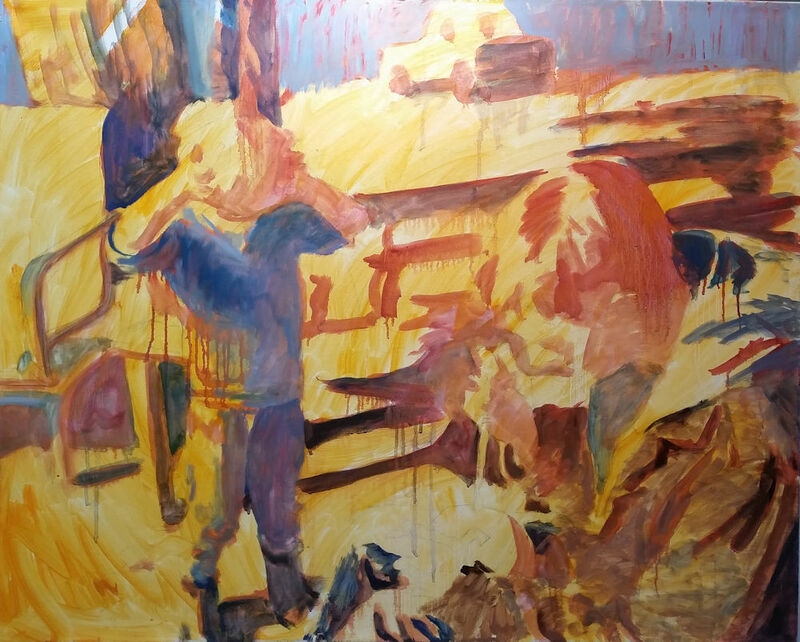 This is a fairly large painting of 29.25” x 36” on stretched linen canvas. 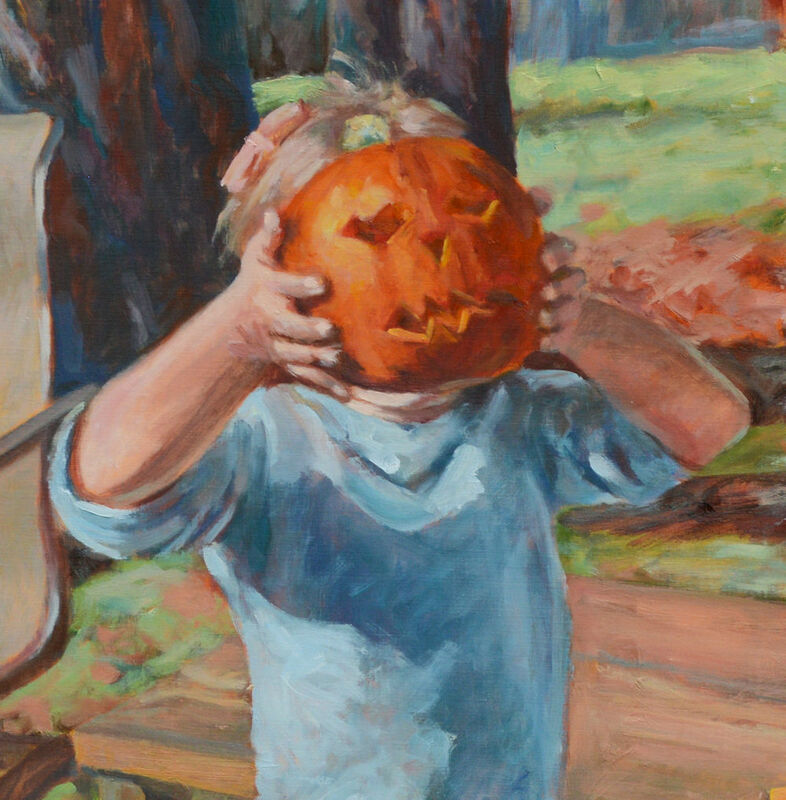 In keeping with the autumn theme, I wanted the painting to have an overall warm tone. 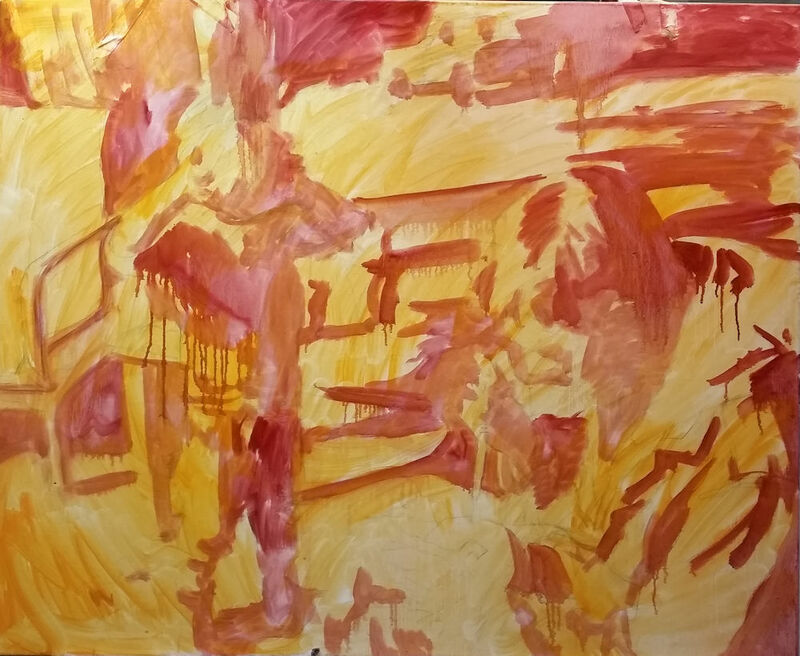 So after I laid in the main drawing, I gave the canvas an overall wash of a mixture of burnt sienna and cadmium yellow deep. 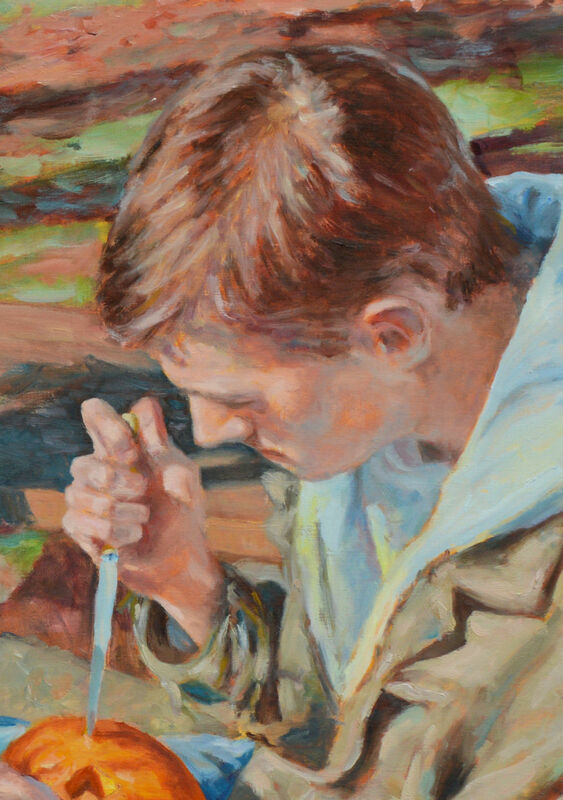 After that, it was just a matter of carving out the painting on the canvas. 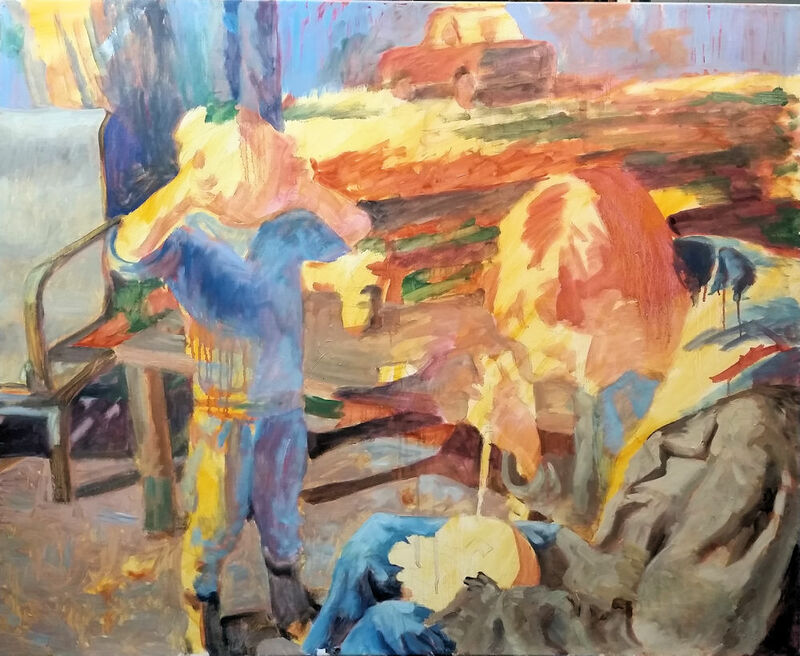 I usually start with the darkest colors painted thinly, then work my way forward to the lights which are often heavier. Some changes I made along the way was to de-emphasize the truck in the background. I did not want that to be the focal point so I kept the painting very loose. I also took out a lot of the stuff that was on the table and printing on the child’s shirt. Again, it would have been a distraction and wouldn’t have added anything. 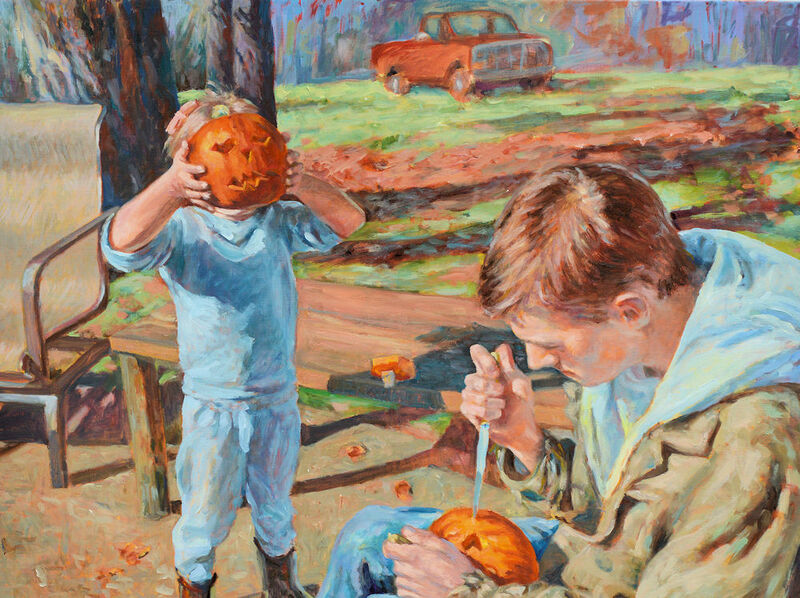 The overall composition is a triangle as the viewer’s eye travels from the child with the pumpkin, particularly the head, to the young man carving another pumpkin (and the danger of the knife), and the truck in the background. 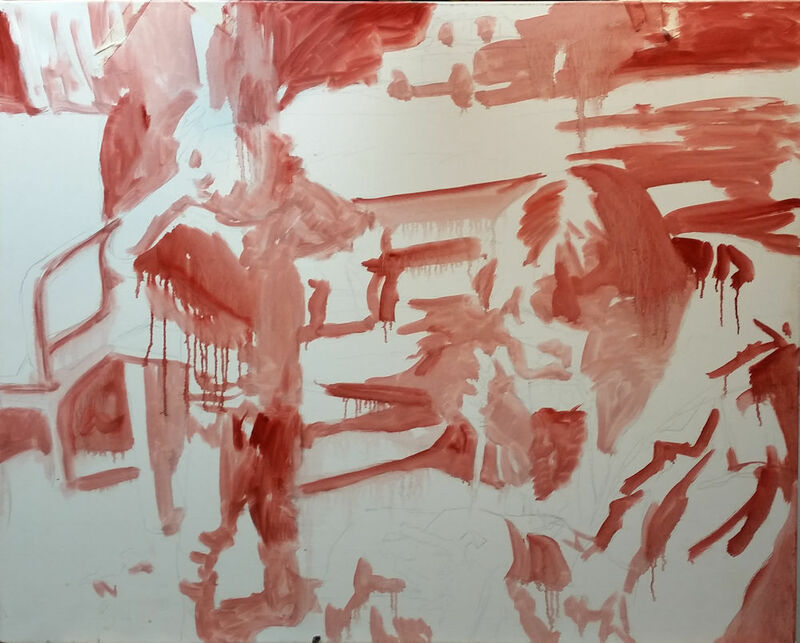 This makes for a lot of diagonal lines which I always think adds motion and energy to a painting. 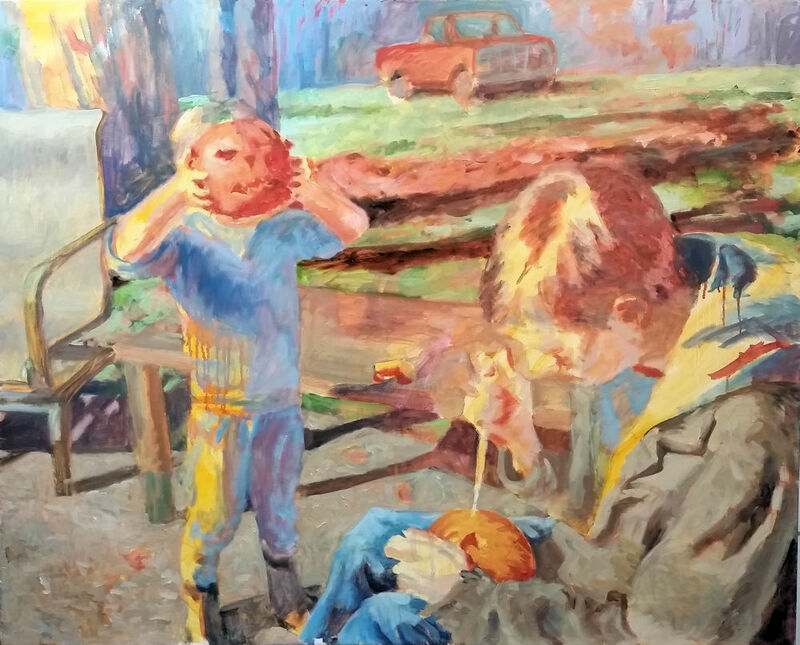 There is an element of surprise as the viewer realizes that the child is a girl when the pink hair bow is spotted over the pumpkin on the left. I think many would assume this is a boy. Just my own little bit of humor. 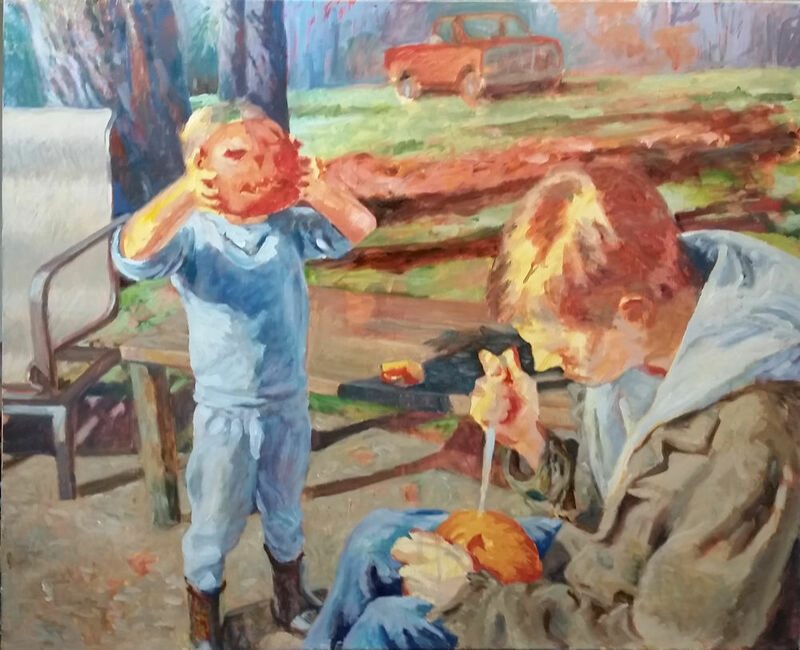 Overall, the painting emphasizes that stark autumn light, tells a story, and engages the viewer with What Next?